The Scarlet Letter, published in 1850, is an American novel written by Nathaniel Hawthorne and is generally considered to be his magnum opus. Set in 17th-century Puritan Boston, it tells the story of Hester Prynne, who gives birth after committing adultery, refuses to name the father, and struggles to create a new life of repentance and dignity. 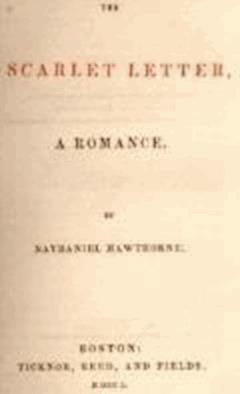 Throughout the novel, Hawthorne explores questions of grace, legalism, sin and guilt.